Here's our track-by-track guide to the London Symphony Orchestra's soundtrack to the opening ceremony of the London 2012 Paralympic Games. Based on Shakespeare's The Tempest and featuring Professor Stephen Hawking, Sir Ian McKellen and blind soprano Denise Leigh. Featuring the first of many voiceovers by Professor Stephen Hawking, this atmospheric opening sets the scene for the ceremony. A sprightly theme, in which Stephen Hawking urges us to "be curious." A mix of sounds, with a heavy electronic element alongside the LSO, who finish with a brass fanfare. Various choirs dominate this stormy extract, singing, "We'll look at the stars!" Blind soprano Denise Leigh sings this uplifting tribute to triumphing over adversity. Miranda, the main character from The Tempest-led narrative, is set on her journey. The London 2012 Paralympic Games are officially announced with this bombastic track. A plaintive and anthemic piece that builds into a brass-led climax. Professor Stephen Hawking returns, to remind us that the enemy of knowledge is "the illusion of knowledge." Using Handel's 'Eternal Source of Light Divine' as a springboard, this piece features a divine performance from Welsh soprano Elin Manahan Thomas, duetting with the trumpet. A whispering choir and harp help our hero, Miranda, on her way. 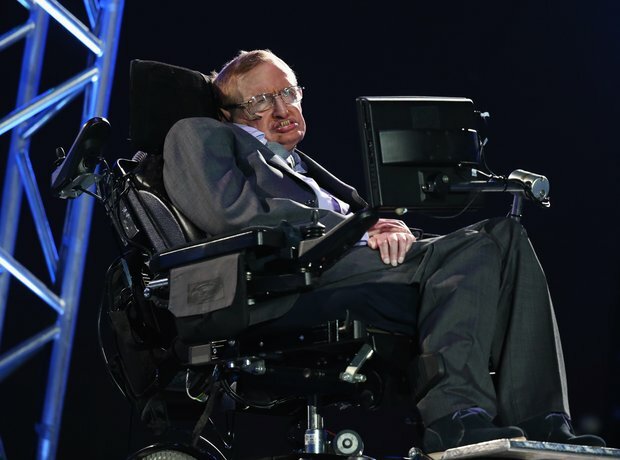 Professor Stephen Hawking reminds us that "there should be no boundary to human endeavour." Combining with some pulsing dance music, the LSO evoke the titular storm, accompanying a huge storm in the stadium that features a giant whale and an aerial ballet from disabled dancer David Toole. The harpsichord takes centre stage as Professor Stephen Hawking talks about Isaac Newton's apple, a major theme throughout the whole ceremony. Shuffling dance music, haunting vocals and the LSO's shuddering strings dominate this short piece. The centrepiece of the show is Ian Dury's controversial disability anthem Spasticus Autisticus, accompanying a recreation of the Large Hadron Collider, and a huge replica of the statue of a pregnant Alison Lapper (which was previously on display in Trafalgar Square). The LSO step down for a moment, and let dance duo Orbital take care of the music. The LSO return, with some synthesiser accompaniment and a huge brass motif. The Paralympic Flame enters, having been carried all around the country and running into difficulty the day before the ceremony, but still soundtracked beautifully by the LSO. Soul singer Beverley Knight sings a version of the classic I Am What I Am. Benjamin Britten's version of the National Anthem grounds the games firmly in Great Britain.